We hope everyone had an incredible Thanksgiving Holiday this year. Here at Crave Catering, we are extremely thankful for friends, family, coworkers and delicious food. This holiday is a reminder for the blessings we all have and to reflect on the positive things in our lives. We hope everyone embraced it whole heartily and ate some scrumptious thanksgiving staples. Below is a one of our favorite holiday recipes that we have often recreated. We first saw it on Cake Journal enjoy! To make the fritters, combine all the ingredients and mix until you have a smooth batter. 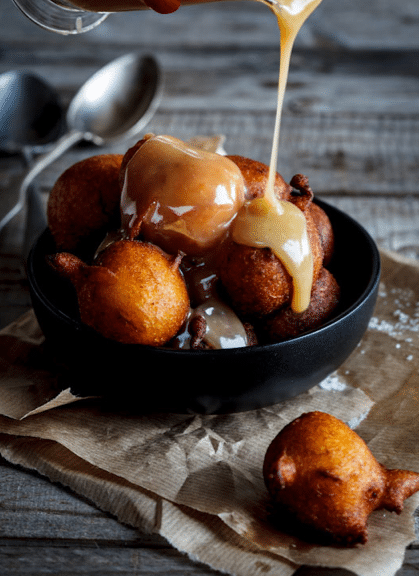 To make the caramel sauce, combine all the ingredients in a medium saucepan and allow to cook over a medium heat for 10-15 minutes until the sauce is thick and glossy. Chill ingredients prior to starting. Add vodka and cranberry juice to a punch bowl with ice. Stir well, then add ginger ale and club soda. 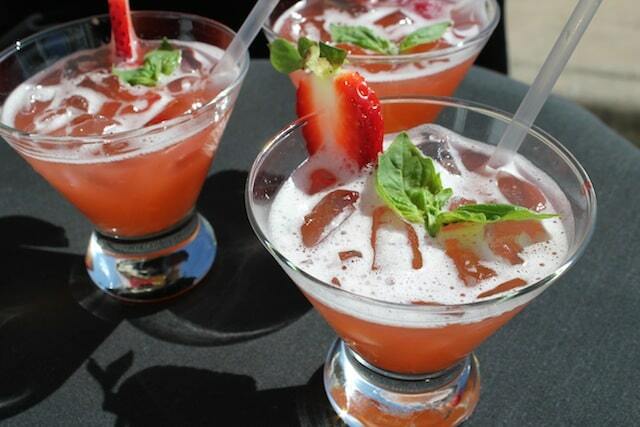 Garnish with a fresh berry of your choice (strawberries are great) and enjoy! We are extremely excited for the grand reveal of Ma Maison, Wedding + Event Venue coming up! It will get here before we know it, so we want you to save the date and be sure not to miss a great event. Take a look at the amazing venue all while sampling some of the best hors d’ovuers and cocktails around! Looking forward to seeing everyone there after the new year! 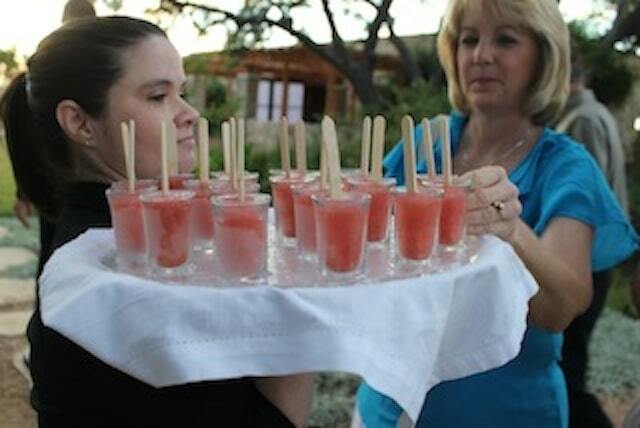 ***Amount of Simple Syrup may vary depending upon sweetness of Watermelon. Sweeten to your preference. It’s F1 weekend yet again and we are so excited to see what it has in store for us this year. 58,276 fans spent their Friday under mostly sunny skies at Circuit of The Americas and welcomed the return of the world’s most popular motorsport to Austin, Texas. The perfect weather today has been a wonderful start for the first practice sessions. There are tons of events going on this weekend affiliated with Formula 1, so be sure to check their events calendar to check out what is scheduled. There will be two free shows after the races at the Austin 360 Amphitheatre. Sick Puppies will play post-qualifying races on Saturday, November 16th, while Pitbull will take the stage post-race on Sunday, November 17th. The famous Sting will make an appearance and perform at ACL Live on Saturday as well. The F1 Austin Fan Fest fueled by Shell is another excellent event, going on all weekend where you can enjoy free live shows, food and drink galore as well as interactive games and displays, and a kid’s activities the whole family can enjoy. The Crave Catering team will be hard at work serving up delicious dishes at a couple weddings this weekend but we hope everyone has a spectacular time. Have an amazing weekend. Enjoy the fast cars, good food and generous amounts of beer! The world of weddings can be daunting to many, if not all. What are the rules? Are there any when it comes to planning weddings? Below are some FAQ’s (frequently asked questions) that may be on your mind. 1. Am I Supposed to Bring a Gift to an Engagement Party? – It is not customary to bring gifts to an engagement party. Some people bring small gifts, but overall they are not required. 2.What Are My Duties as a Bridesmaid? – Bridesmaids have a variety of responsibilites, so once chosen do not take them lightly. These tasks include in generally assisting in wedding planning, an opinion on the bride’s dress, and attending fittings as well as parties on the wedding roster. While not required, some bridesmaids have a bridal shower in honor of the bride. 3. How Much Should I Spend on a Wedding Gift? – This question has no real answer as there is no minimum or maximum. You should consider two things: your personal budget and your relationship with the couple. Spend what you feel comfortable spending on something that suits the couple. What are some looming questions you have about Wedding Ettiquette? We are so excited for this upcoming event with Emo’s and Brass Tacks Events for Waterloo Studios by Lisa Hause Photography! This will be the place to be next week. Complete with a fun paella bar (scrumptious spanish rice dish) and new menu samples, you will get a chance to try some great food. Take a look at the other vendors that will be attending below, you guys are in for an awesome treat! Join us next Tuesday from 6-9pm.